Quirky, multi-level Cottonwood gem! Only home in the neighborhood with additional finished basement and sun lounge!Nestled in quiet cul-de-sac, home is sitting on over a 1/4 acres!Skylights, vaulted ceilings, fresh paint, stunning wood floors, main-level formal living, and updated kitchen w/ built-ins and eat-in breakfast nook!Unique sun lounge equipped with hot tub, and is a fantastic place for mingling guests!Upper level custom master bedroom that features, walk-in closet, vanity sink, and connects to the bathroom!2nd bedroom is just across the hall!Lower level family room, wood burning fireplace, full bath, and bedroom 3.FINISHED basement, and optimal space makes it the ideal bedroom/guest room/flex/bonus potential you could ask for! Oversized backyard with little playhouse, shed, concrete patio, and impressive conservatory space, perfect for entertaining! 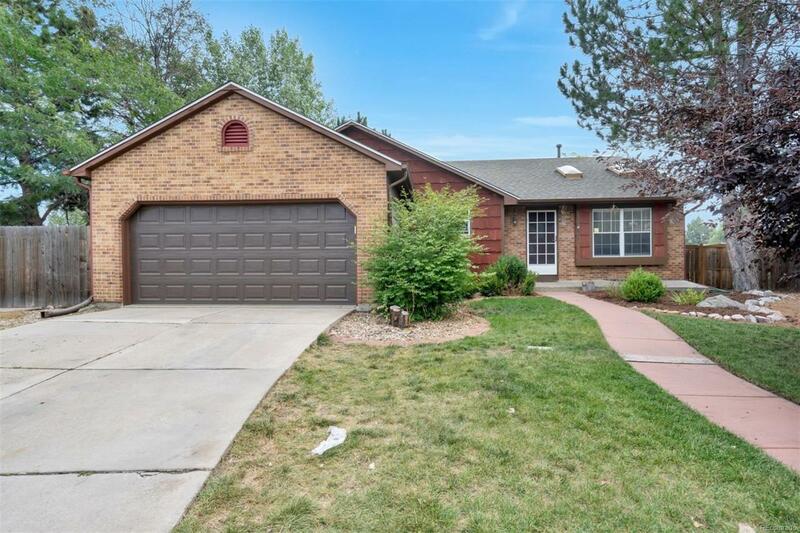 Fantastic location, walking distance to shops, quick access to E-470! No HOA! Come quick!